Whitewood Cider featured on Serious Eats: Drinks Blog — Whitewood Cider Co. 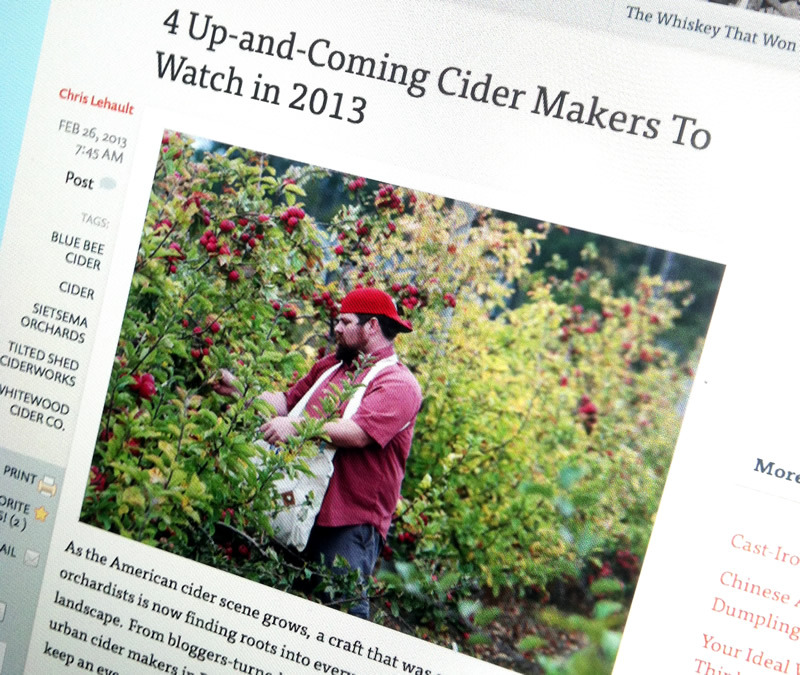 Although not entirely a surprise considering I gave an interview, I still found myself taken back and more than excited this morning to wake up to the new Serious Eats: Drinks post 4 Up-and-Coming Cider Makers To Watch in 2013. Whitewood Cider Co. found itself amongst great company listed in the article alongside 3 other terrific new cidermakers across the country. Sietsema Orchards from Ada Michigan, Blue Bee Cider in Richmond Virginia, and Tilted Shed Ciderworks of Forestville, California. I've had the pleasure to meet or get to know all these folks and it's a great honor for us. Thanks to Chris Lehault for putting together yet another great cider read. Keep visiting Serious Eats to catch more of his work or keep tabs of him on Twitter or Facebook.